A private investigation agency can consist of a single investigator, acting as an owner/operator, or may encompass many highly specialized private detectives working together. There are advantages to hiring each different type of investigation agency, depending on the specific preferences and needs of the client. Retaining an investigative services company can be a confusing proposition for many prospective clients. This article provides expert guidance on choosing the ideal detective agency for your needs, by explaining the pros and cons of both large and small investigation businesses. Small investigation agencies are generally represented by a single investigator or an owner with one to three additional employees. These small agencies generally provide excellent individualized service and carry a smaller case load, in order to devote more time and attention to each client. Small agencies and individual investigators will typically provide the most interaction with the client and are often less expensive than larger operations. Small investigation businesses allow clients to deal with the owner each and every time, guaranteeing accountability, quality results and a good value for the money. The problems with small agencies are just as important to consider, especially for clients with big cases or multiple cases which need immediate attention. Small agencies are very limited in their ability to work multiple cases at the same time. Small agencies are also generally less likely to work without a retainer fee, since it can be difficult to front all the operating costs for a case, without immediate reimbursement from the client. Finally, small investigation agencies do not have the same access to specialists as larger agencies. If the assignment only requires general investigation, or fits the specialty of the owner/operator, this is not an issue. However, if the assignment could benefit from multiple investigators, each with specialized talents, then the progress of the case may be sluggish using the finite resources offered by some small agencies. Large investigation agencies generally consist of ten or more investigators working under the direction of one or more owner/operators. These large scale business operations offer positives and negatives for each client to consider before retaining their services. On the plus side, large firms allow constant attention to a large case load, so it is unusual for any client’s needs to be neglected. Multiple investigators working on a single case can often produce better and faster results. This is a big plus for clients who require a fast resolution to their case demands. More investigators available give each individual operative a better chance to specialize in a particular facet of the investigative arts. Focus provides better results in all professions and with the extremely diverse demands of the private detective industry; specialization can be a huge asset. On the downside, large firms can sometimes be too impersonal for smaller clients, who like to deal directly with the owner every time. Additionally, larger investigation businesses can be more expensive, to cover the cost of all those additional employees and the administrative infrastructure. Finally, larger investigative companies often hire less experienced trainee investigators. These workers might not have the best mixture of education and real world experience, yet. There is always the chance that a rookie detective might miss an important detail or incorrectly handle a crucial component of a case assignment. A good rule of thumb states that individual clients with small cases often work better with smaller agencies or individual investigators. The client is happy with the personalized service and most commonly saves a bit of cash in the process. Large corporate clients, such as insurance companies or large law firms, are best served by detective agencies which can meet or exceed the demands placed on it by a business client. But, there are always exceptions to the rules. Many small agencies are staffed by one or two investigators with tremendous experience in a wide variety of tasks, allowing them to serve clients of all sizes and needs. Meanwhile, some larger firms are simply inefficient and are mostly staffed by people who do not even qualify to be called professional investigators. 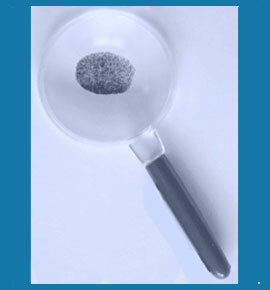 A good tip is to always seek referrals or recommendations when hiring an investigation firm. This way, you will likely to get a firsthand report about the way the business operates, the price structure, and the quality of the results, before laying out any money and potentially being very disappointed.